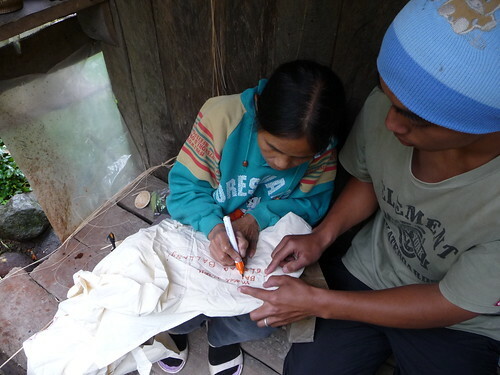 Amanda heisst eigentlich Benjamin und war die Köchin bei Ann & Mike in Concepcion auf Busuanga Island. Mike ist Däne und betreibt mit seiner philippinischen Frau Ann ein kleines Guesthouse mit einem kleinen Restaurant. Dort hat uns Amanda sechs Tage lang bekocht. 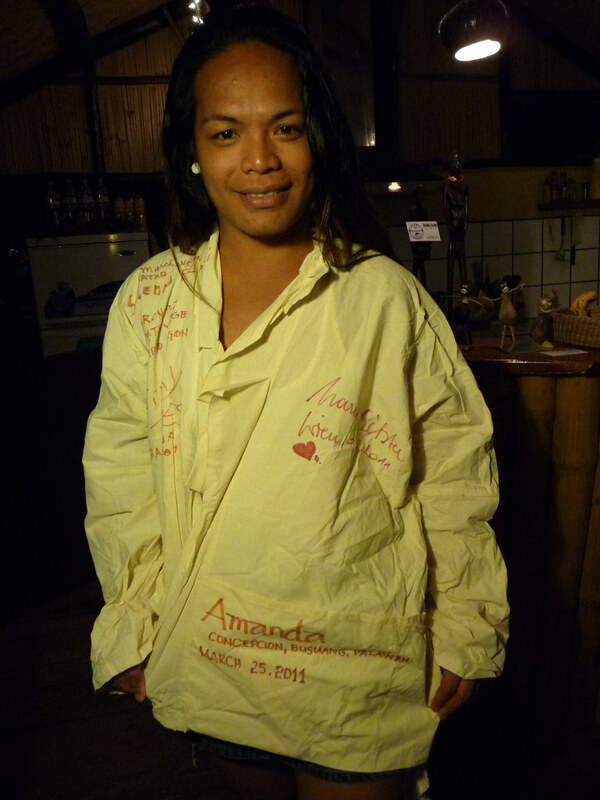 Amanda’s real name is Benjamin and she was the cook at Ann & Mike in Concepcion on Busuanga Island. 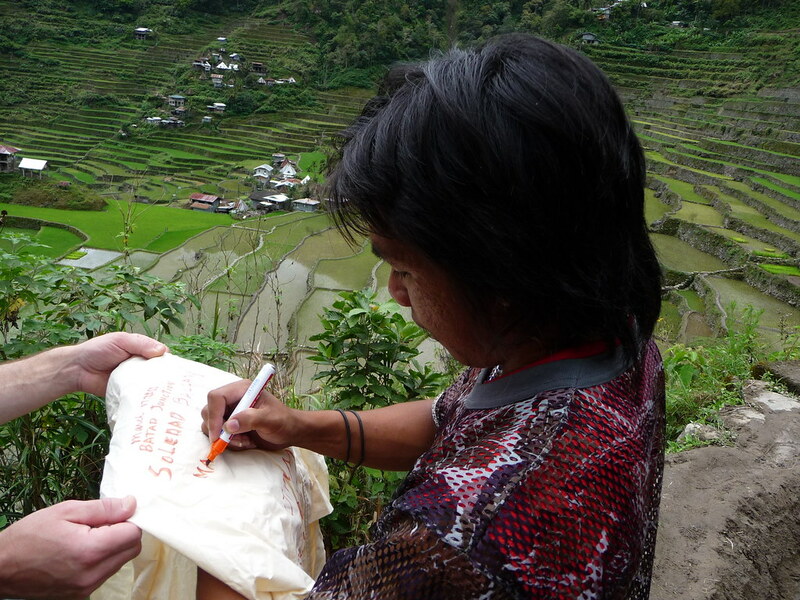 Mike was born in Denmark and he runs a little guesthouse and a restaurant with his Phillipine wife Ann. 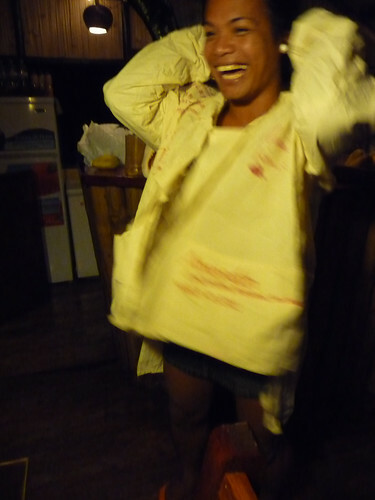 Amanda cooked six days for us. Rambo Poligon was our guide across the rice terraces of Batad for two days. His name he owes to an American tourist whom met his pregnant mother. But I don’t think it was Sylvester St.
Soledad Ballangi hat einen kleine Hütte, in der sie Souvenirs, wie z. B. Reisgötter aus Holz, verkauft. Die Hütte steht an der Batad Junction, einer Kreuzung, an der eine rumpelige Straße zum Batad Saddle führt. 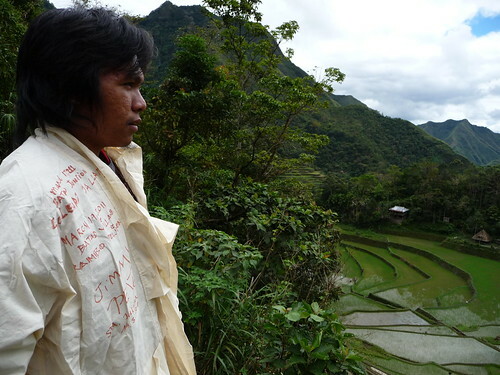 Von dort geht man dann eine Stunde runter nach Batad Village, einem wunderschönen Ort inmitten von Reisterrassen. Soledad Ballangihad owns a little cottage where she sells souvenirs like rice gods made of wood. 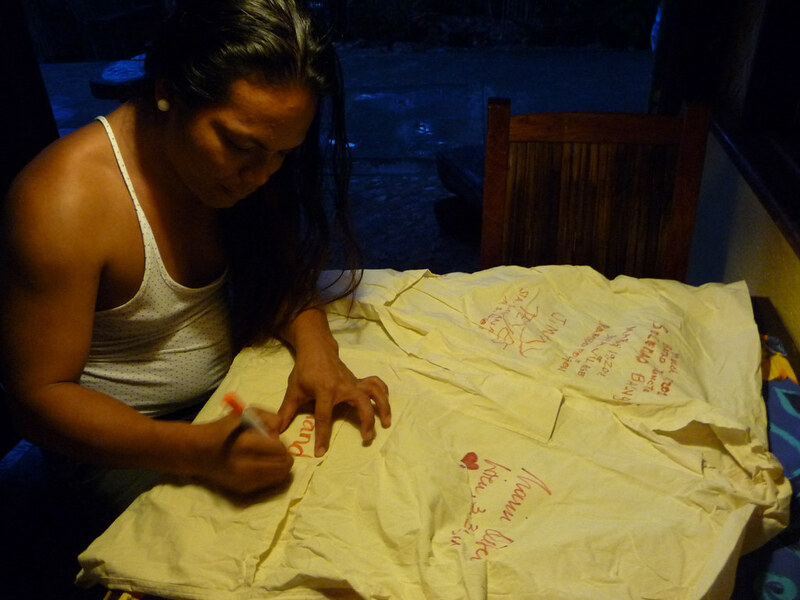 The cottage is situated at the Batad Junction, a crossing from where a bumpy road runs up to the Batad Saddle. 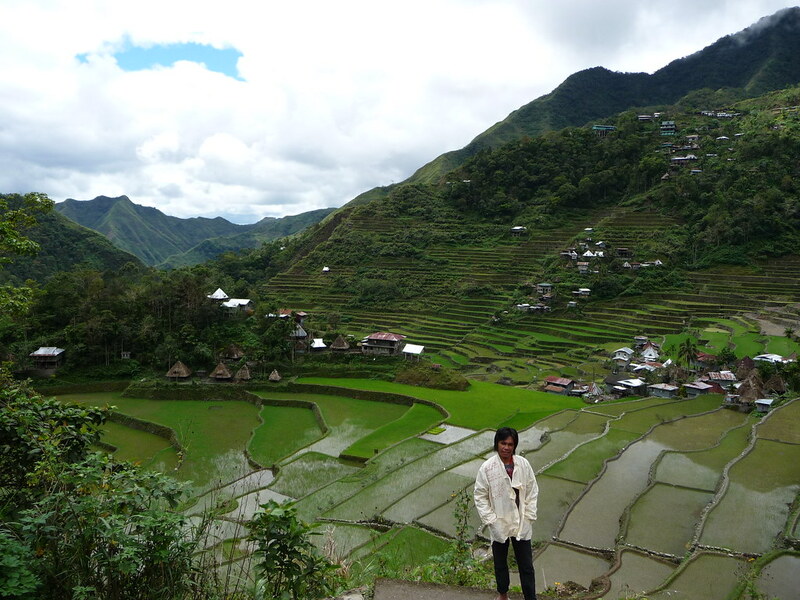 And from there it is a trip of one hour to Batad Village, a gorgeous place surrounded by rice terraces. 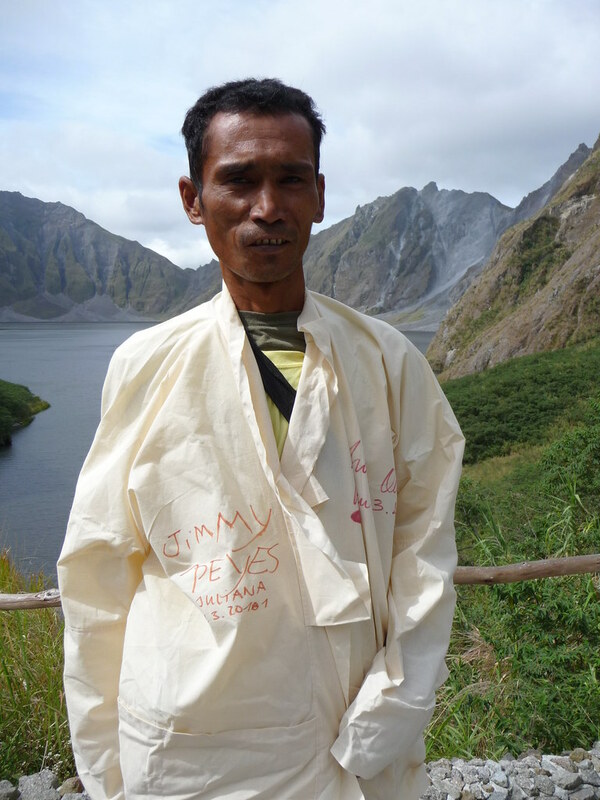 Jimmy Reyes war unser Guide zum Kratersee des Mount Pinatubo. Er sprach kaum Englisch und konnte gerade seinen Namen schreiben, hat sich aber gefreut, fotografiert zu werden. 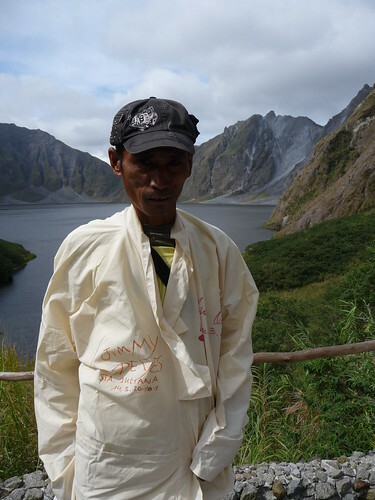 Jimmy Reyes was our guide to the crater lake of vulcano Mount Pinatubo. He barely talked English und just could write his name. But he enjoyed beeing photographed.